When it first burst onto the scene as a new entry in late summer of 2016, it didn’t take long for Panini America’s Origins Football franchise to find firm footing in the marketplace. 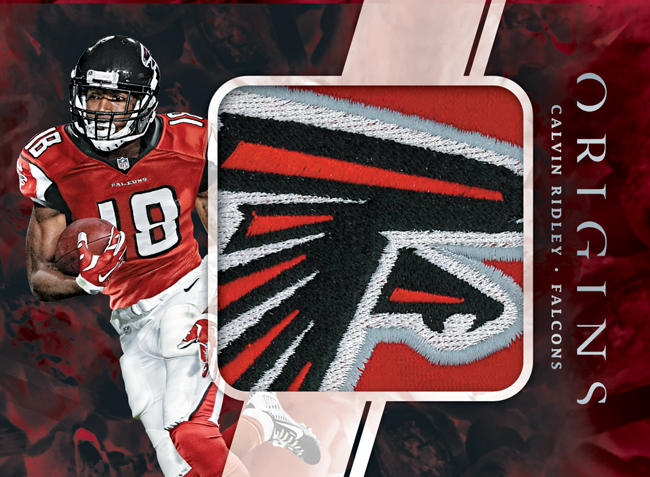 Boasting a vibrant array of colors and a modern artistic theme, Origins Football made an immediate and lasting impression. 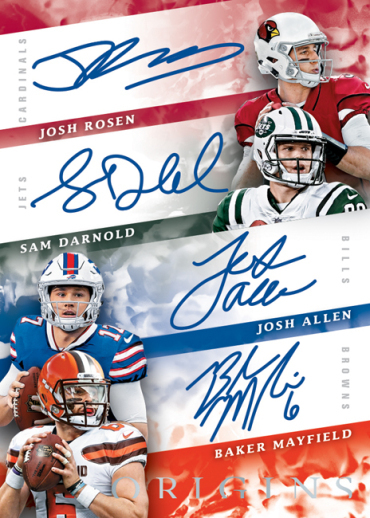 On Wednesday, August 22nd Origins Football ($99 per box) returns for the third straight season boasting a crisp take on the talented 2018 NFL Draft class and the staple inclusions that have carried the product to a place of prominence in the modern marketplace. 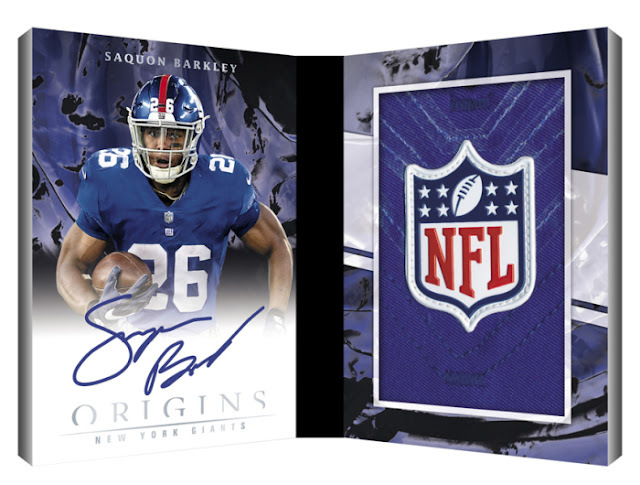 On average, each hobby box of 2018 Origins Football (seven cards per box, 16 boxes per case) will deliver one hard-signed rookie autograph, one Jumbo Rookie Patch Autograph and one Jumbo Jersey or Patch memorabilia card. 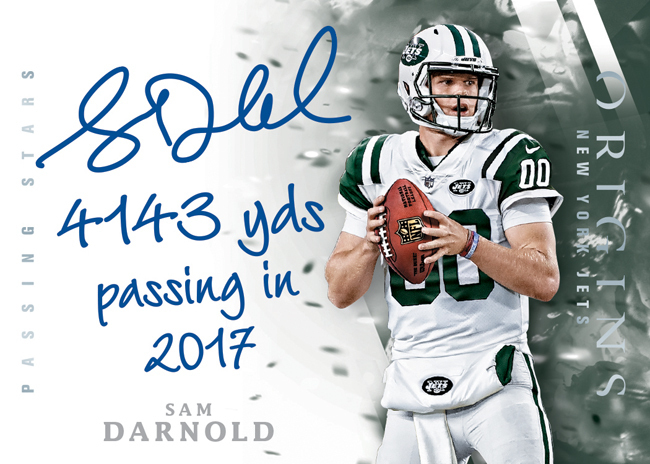 The product’s popular booklets return for the new season, including Rookie Booklet Patch Autos, Six-Star Signature Booklets and Rookie Stars Dual Signatures Booklets. 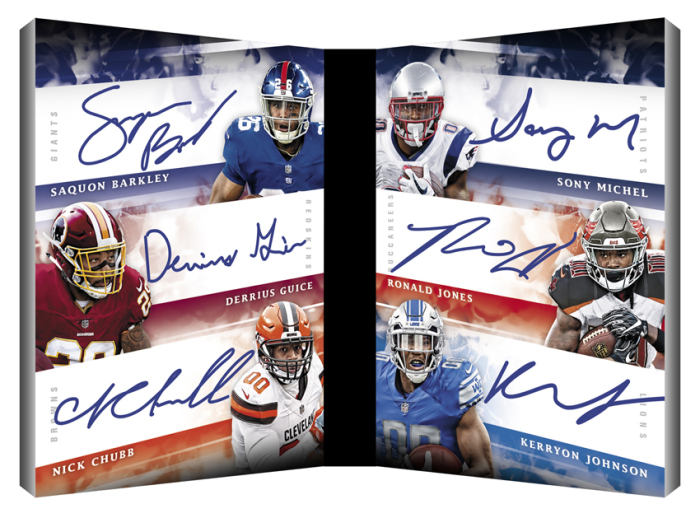 On-card rookie autographs in the Rookie Autographs, Passing Stars, Rushing Stars, Receiving Stars and Quad Rookie Autographs chases. 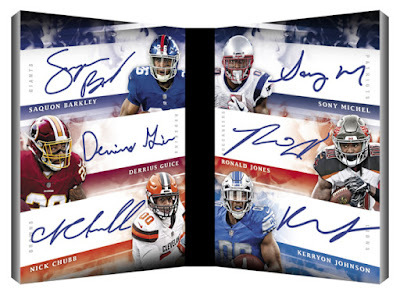 Passing Stars Signatures, Rushing Stars Signatures and Receiving Stars Signatures feature a limited number of inscribed autographs with some of each player’s greatest accomplishments. 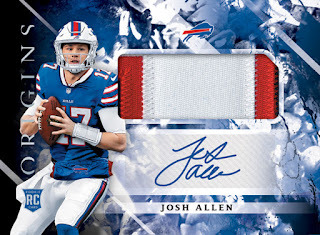 Rookie Jumbo Patch Autographs are paralleled by Red (numbered to 99 or less), Blue (numbered to 49 or less), Turquoise (numbered to 25 or less), Gold (numbered to 10 or less), Green(numbered to five or less) and Black Brand Logo 1/1 versions. 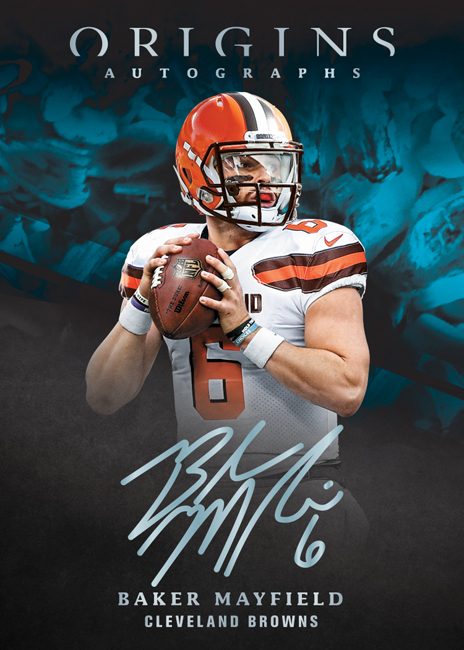 Origins Autographs features a unique design and showcases Bronze Ink (numbered to 99 or less), Silver Ink (numbered to 25 or less) and Gold Ink (numbered to 10 or less) versions. Search for oversized jersey pieces in Rookie Jumbo Jerseys, which features Red (numbered to 99 or less), Orange (numbered to 75 or less), Blue (numbered to 49 or less), Turquoise (numbered to 25 or less), Gold (numbered to 10 or less), Green (numbered to five or less) and Black 1/1 parallels.